After a few years in R&D, MiniMax have finally released their range of spiral cutterblocks. Designed to suit their surfacer, thicknessers and the 4 in 1 combinations, these European cutterblocks are designed specifically for the Minimax and Scm machines – So feed rates, number of teeth, cutter diameter are perfectly in sync - giving a slippery smooth finish off the back of the machine. Dubbed ‘Xylent’ (a play on ‘silent’) the cutterblocks is available from 2015. 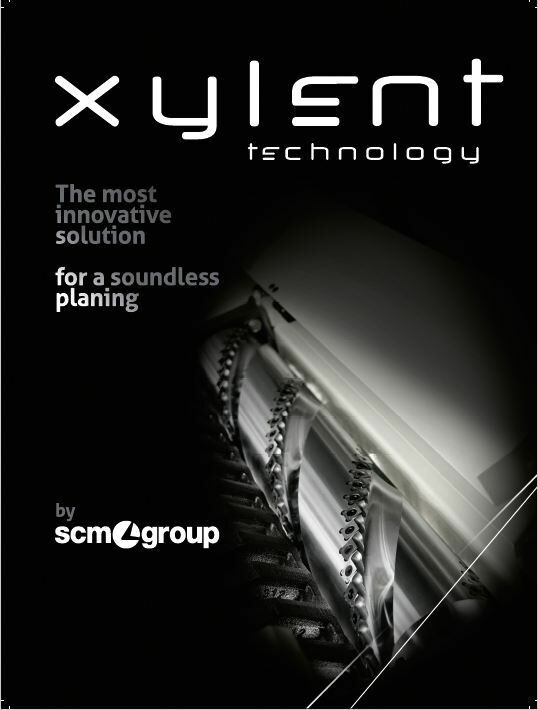 We measured the noise level of the planing performed on a Minimax Lab 300 plus combination machine, varying the planer we used , in order to highlight the potential of the Xylent cutterblock developed by SCM Group. This cutterblock is able to reduce the noise level during the processing of 13 dB! The measurement was made in an anechoic chamber, a dedicated structure to measure the actual noise level of a machine , according to law and used for official tests on noise; this makes the result of this test, very credible by law. The new "Xylent" planer with knives in a spiral layout is one of the new developments presented at the LIGNA 2015 fair in Hanover. This device is available on every SCM and Minimax surface planer, thicknesser, planer thicknesser and combination machine.